The rugged cliffs of the 300km (186 mile) long Pembrokeshire Coast Path National Trail offer some of the finest hiking to be found anywhere. Our two 1-week tours hiking the Pembrokeshire Coast both end at the tiny city of St Davids with its Romanesque red sandstone cathedral. From St Davids one can ascend the rocky viewpoint of Carn Llidi (180m) or take a boat trip to the offshore island of Ramsey. A vigorous 7-night walking tour along the North Pembrokeshire cliff-tops from Haverfordwest to St Davids. Steep rocky summits, coves frequented by Atlantic grey seals, tiny harbours and quaint pubs characterise this tour, often seen best in the springtime owing to the abundance of wild flowers lining the coast path. 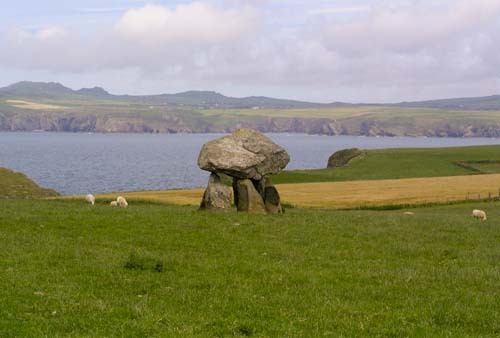 Our less strenuous Pembrokeshire walking tour is designed for hikers and wildlife enthusiasts alike. 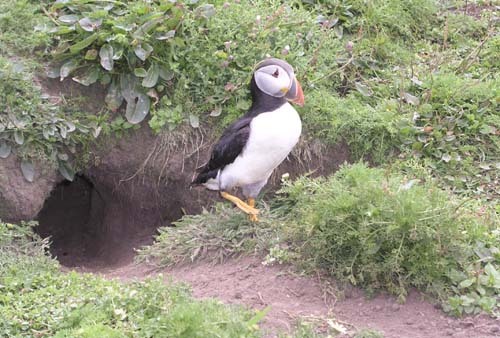 Set in the only coastal national park in the UK, this tour also provides the opportunity to spend a day on the island of Skomer, famous for its seabirds. Easy route-finding, pretty fishing villages and prehistoric archaeology along the way make for a fascinating hiking tour!